His Holiness Patriarch Kirill of Moscow and All Russia expressed his condolences to Mr. Barack Obama, President of the United State of America, over the natural disaster in Oklahoma. The text of the message is given below. With deep sorrow I have learnt about the natural disaster that has happened in the State of Oklahoma. The devastating tornado has taken away many human lives and has left roofless a great number of families. 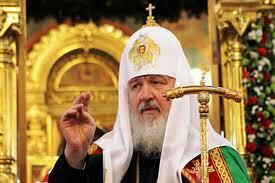 On behalf of the Russian Orthodox Church, I would like to extend condolences to you and all the American people. I am lifting up ardent prayers for the early healing of the injured and for consolation to be granted to those who have lost their relatives and loved ones. May the All-Merciful Lord help those who are working now to overcome the consequences of the heavy devastation.